What is – The Matrix? In 1999, and still to this day on commercial networks across the world, many find out still to this day find out what – it – is. The Matrix, that was “born” in 1999, provided the canvas of “virtual reality” – infused with AI – Artificial intelligence, and allowed us all to watch Neo, Trinity, Morpheus, and a cavalcade of characters too long to mention, traverse down the digital rabbit hole. Add in guns, a love story, several gargantuan light bulb moments that drive story and imagination and you’ve got something that’s the culmination of just swallowing a blue or red pill, but of years of imagination that combine to make up – The Matrix, 1999, Directed by the Wachowski brothers – which is now square inside the 2GuysTalking Mini-gun Perspective Review cross-hairs, here, on The 2GuysTalking Perspective Review of The Matrix. — A Call for Input: The value of The Matrix is truly a perpetual thing. Depending on your age, favorite program and “perspective” – we know that you’ll have questions about the movie, our opinions and concepts we haven’t even thought of. Contact us today to tell us more about what you think now! — What do YOU remember about The Hype from The Matrix (1999)? Tell us now? — Where did YOU see The Matrix (1999)? Tell us now? — How much did YOU pay for a ticket to see The Matrix (1999)? Tell us now? — What did YOU think was “Good” inside The Matrix (1999)? Tell us now? — What did you think was “Bad” inside The Matrix (1999)? Tell us now? 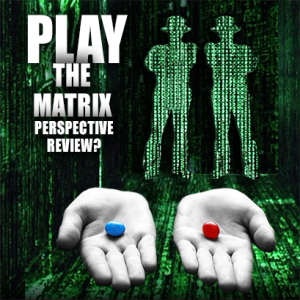 — Where do YOU think The Matrix (1999) Franchise will go from here? Tell us now? 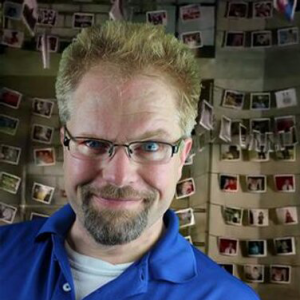 Mike Wilkerson: Mike Wilkerson is a former certified Sign Language Interpreter for the Deaf, now Marketing Automation Director for a large St. Louis-based Computer company and has been hosting, producing, concepting and enhancing podcasts for 13 years. While his interests are definitively pop culture-based, the bottom line is: It’s ALL About Perspective. Whether it’s being captured inside of one of Mike’s Podcast Capture Studios (based in St. Louis) inside the coming-soon “Micro Audio Podcast Capture Studios” (MPACS) or via The Podcast Bug: A 1974 custom Superbeetle with a recording studio built inside of it – Podcasting is Captured Perspective. 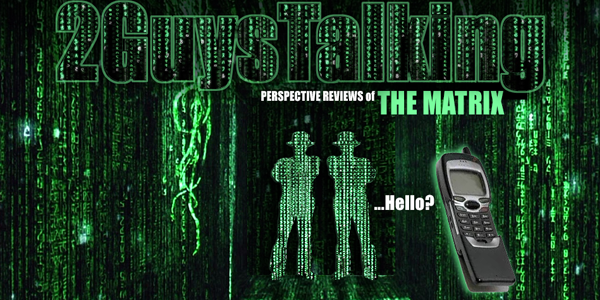 Be sure to contact Mike with questions about podcasting, about the many programs he hosts or about the other programs that populate The 2GuysTalking Podcast Network.